Hi guys! I hope you're staying warm where you are! It's absolutely freezing here! This southern girl can't handle these temps! 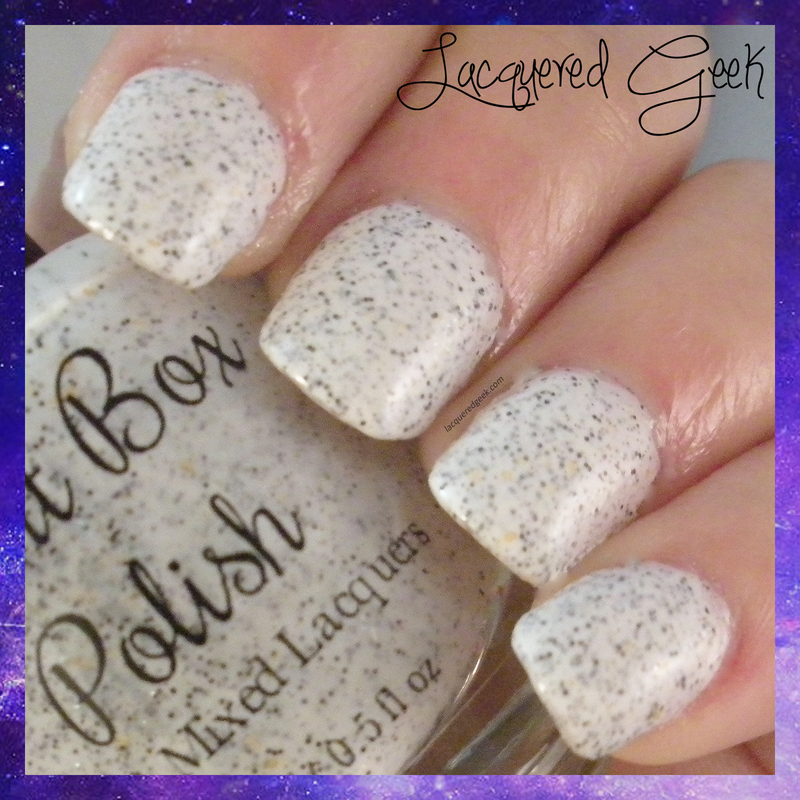 Last month, I won a prize from a multi-blogger giveaway, and my prize was a polish of my choice from Paint Box Polish. I chose I Like Children from the Dragon Are A Girl's Best Friend collection. 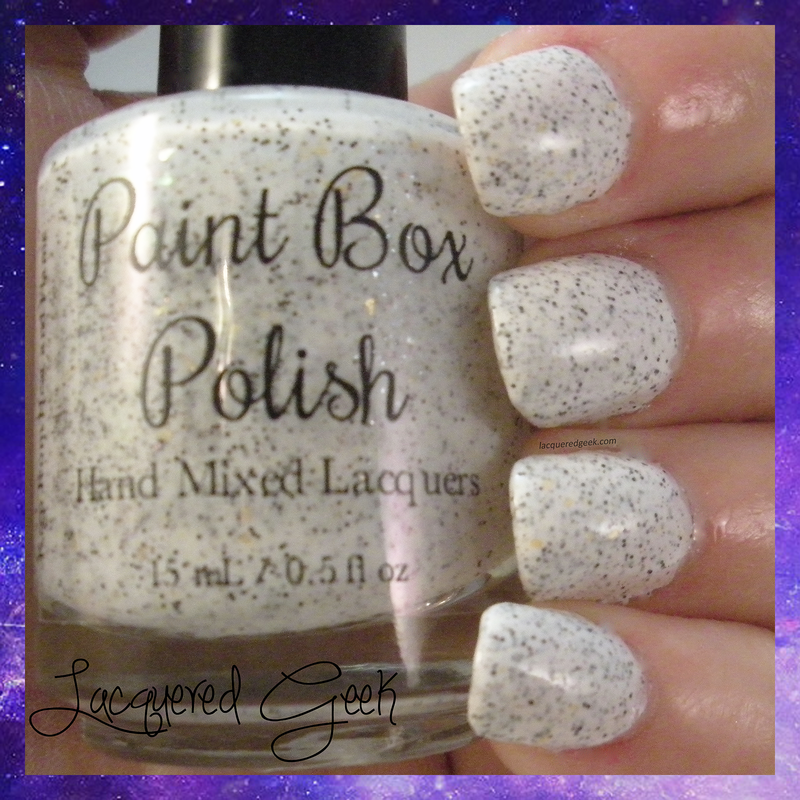 One of my absolute favorite movies growing up was The Neverending Story... and I just loved Falkor... so picking this polish was a no brainer. 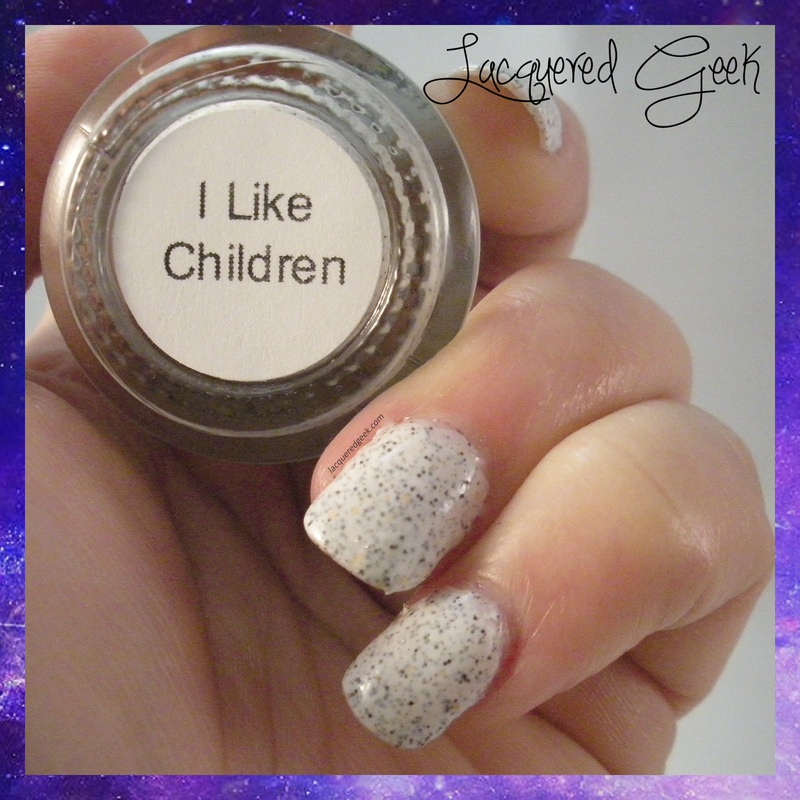 I Like Children is a white crelly with dark brown and bronze microglitters along with a smattering of rainbow flakes. It's so pretty and delicate. 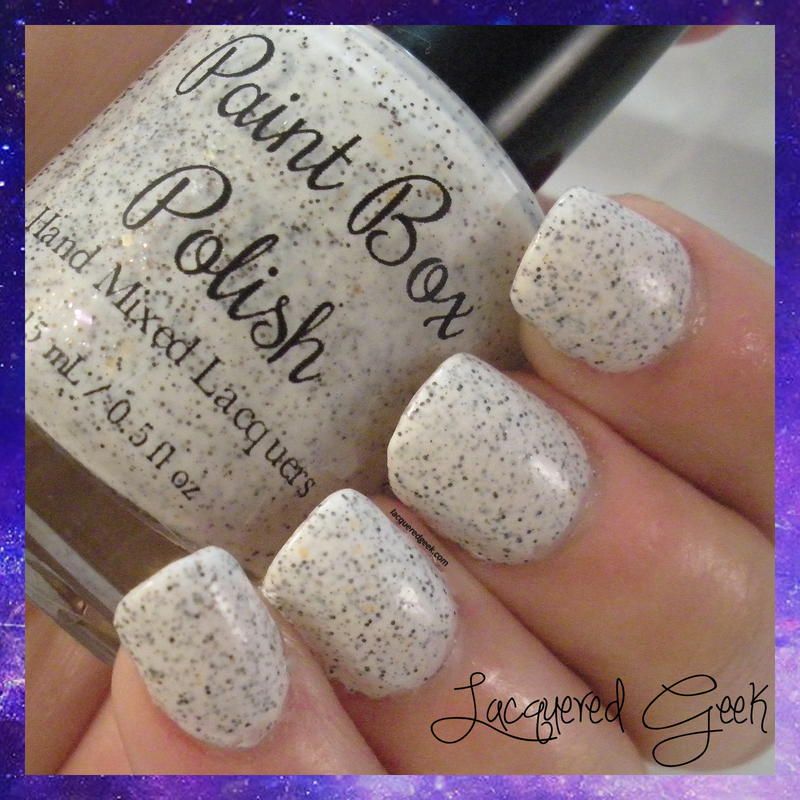 Some white based polishes are too stark for my hands, but not this one. I think it looked great! The formula on I Like Children was terrific, It was very smooth and easy to apply. I used 2 coats for these photos, along with a top coat. What do you think of this polish? What was your favorite movie growing up?